Check Out a Clip Of Viva Mezcal, Screening at Guelaguteza Alongside ChefThe Oaxacan chef behind El Origen will prepare antojitos for the crowd. 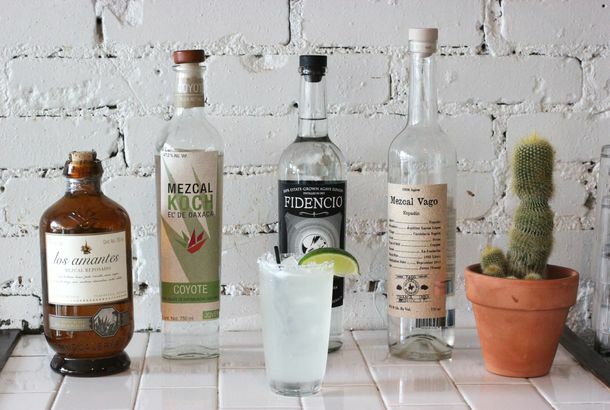 China Poblano Celebrates Jalisco and Oaxaca at Mezcal and Tequila FestAgave juice will work its way into cocktails and special menus, while principals from Del Maguey and Casa Noble will be there. Bricia Lopez Springs Mezcal Bar on GuelaguetzaThe city’s main mezcal ambassador curates over 50 bottles, but saves the best for her inner circle. Geoffrey’s Role in Matrice Richardson Case; Jamie Oliver in How WaterGeoffrey’s doesn’t want the blame for Matrice Richardson, Jamie Oliver in hot water and more, in your daily news. It’s a Honey-Dipped Honeymoon for an NJ Couple Who Tied the Knot at a DoughnutPlus Groupon passes on Google’s takeover bid, and 2010 was the year of mezcal, all in our morning news roundup. La Sandia Sprouts a Tequila-Drenched Happy Hour TonightIf recent coverage has you thirsting for mezcal, La sandia’s chile pepin salt-rimmed cocktail is a nice place to start. Te’Kila Coming to Hollywood; Playoff Menus Hit DowntownSample 100 tequilas from the Room Group or sip a “Bynamite” at Staples Center. Poblano Escobar Welcomes You to Downtown’s Las Perlas TonightDowntown’s nightlife king goes South of the Border in new Mezcal club. Where to Find His & Her Cocktails this SundayJose Andres expresses his love for Mezcal. Jose Andres and Cedd Moses Give Del Maguey Mezcal Its MomentHigh end, traditional mezcal is celebrated by an international chef and L.A.’s cocktail kingpin. Mezcal on the Menu; C’est Bon’s New ManagementPlus: the return of canning, and an UrbanSpoon upgrade, all in our morning news roundup.